A combination of precision engineering and innovative design. We are proud to be entering into a series of art-based projects that combine modern precision engineering techniques with futuristic design. It all started when we teamed up with the outstanding artist and engineer, Lee Rowland on his revolving poker table project. The object of this particular project was to deliver a high-end dining table combined with the functionality of a poker table for use in compact areas. Taking Lee’s revolving poker table design, we carried out the machining element and from this point, we realised that it was the beginning of a fantastic partnership between artist, engineers and manufacturers. Our most recent project together was working on Lee Rowland’s iconic ripple table design for a 100-metre American superyacht. 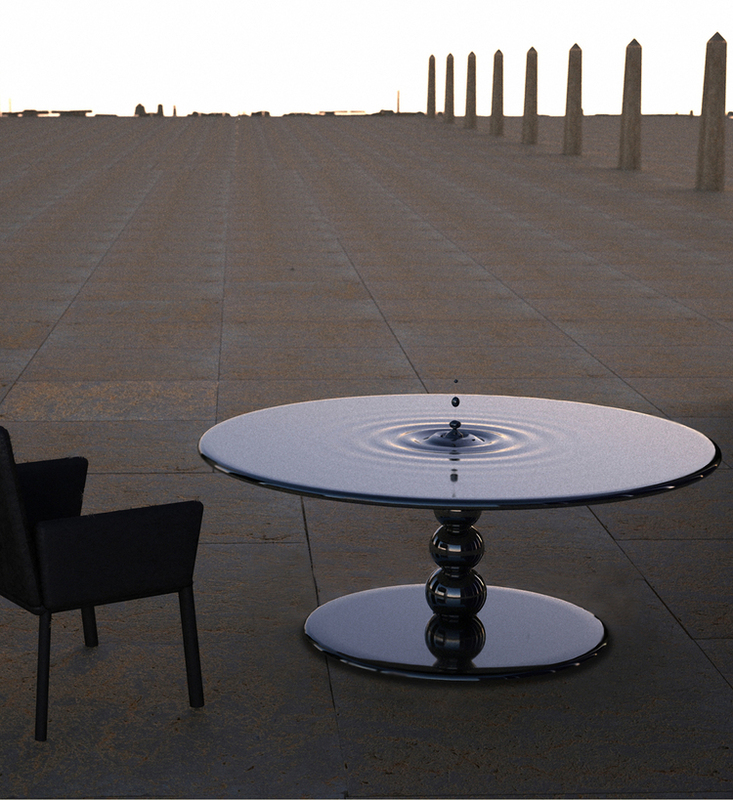 The ripple table has been designed to look like a pool of mercury frozen in time, it has been machined from solid aluminium to 2.2 metres in diameter and precision polished to preserve subtle outer ripples and finished in bright nickel. The centre drops have been supported on a hair-like filament of carbon steel with the electro-formed nickel droplets weighing in at a mere 300 milligrams. “We were thrilled to have been involved in the design and development of Lee Rowland’s iconic ripple table, we were chosen to manufacture this project because we could demonstrate that we were able to manage a wider diverse supply chain that had the skills necessary to deliver a complex project speedily. If you’re an artist and interested in working together to combine modern engineering and manufacturing techniques with your designs, please don’t hesitate to contact us today!